Looking To Sell Your House Fast in Warr Acres? We are a locally owned, BBB Accredited company that BUYS houses in Warr Acres. We aren’t your normal, picky home buyers looking for our dream home who take 45-60 days to close on a house purchase and ask for lots of repairs and for you to pay $5,000 in closing costs…. We can buy your house as-is in as little as 14 days. From the date we sign the contract, you can have cash in your hand that quickly!! Need To List Your House in Warr Acres and Sell It Fast? We buy homes for cash in as little as 14 days, and we can help. 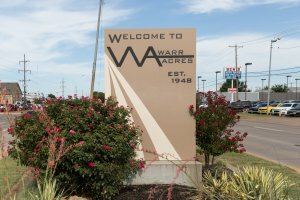 Warr Acres is a popular city in the Oklahoma City metropolitan area. 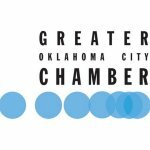 As a northwest suburb it draws residents thanks to its proximity to Oklahoma City University along with its small-town atmosphere and substantial “bedroom” community feel. With a wide range of home values throughout, it can be a fairly competitive market. In some cases, homes get multiple offers and may move to pending as quickly as a month. Unfortunately, not every home will receive worthwhile offers so quickly. On average, it can be a lengthy process to get your home sold. If you need to sell a home fast, it can be a substantial risk listing in a competitive market. That’s why homeowners in Warr Acres, Bethany, and surrounding cities are turning to W Properties to sell their homes fast. As an experienced investment group and direct buyer, we’ve streamlined the entire process. 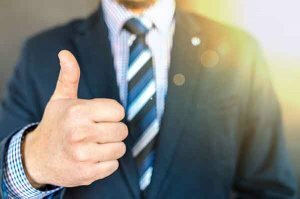 Coupled with the relationships we’ve nurtured with local attorneys and title companies we can make fair cash offers and close in record time, so you aren’t left waiting to sell your home. In fact, we typically close within 30 days and are substantial number of homeowners are able to sell and get paid in as little as 14 days! Ready to sell your home fast? Use the form above or at the bottom to contact us today for a no-obligation cash offer. 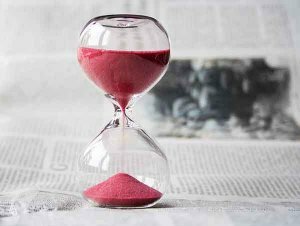 How Long Does It Take to Sell a House in Warr Acres? Selling a home in any market is a tedious process, and Warr Acres is no exception. Such a competitive market means you’ll need to make updates and repairs to your home. Not to mention the extensive cleaning and presentation to make it ready to show. Once your home is finally ready to list there’s the nail-biting process of waiting for a qualified buyer to make an offer on your home. Even if you do get a great offer there’s no guarantee the prospective buyer won’t back out before you close. If the deal falls through, you’re left with nothing but wasted time and a house you’re still paying for. For many homeowners that wait can be 60 to 90 days or more. Some homeowners go months without getting an offer from a qualified buyer. That’s not ideal if your situation requires you to sell your home fast. If you need to sell your home in Warr Acres and can’t risk waiting months (or longer) to sell, then we have the solution. More homeowners are choosing W Properties to easily sell their house as quickly as possible. Want to know more? Fill out the form at the bottom and give us the basic details of your home. We’ll get back to you within 24 hours to answer any questions you have. You can also see a detailed explanation of how our process works here. When you want to sell your house quickly in Warr Acres, it’s best not to take chances. A competitive market can strangle your patience and leave you twiddling your thumbs wondering when you’ll finally get an offer. As a locally owned company with an A+ rating with the BBB, we know the ins and outs of the selling process. We’ll go the extra mile to make sure you’re completely comfortable with selling your home fast. If so, the fastest way to sell your home in Warr Acres is to sell to us at W Properties. We’ve streamlined the process so you can bring your home directly to a buyer (us) for a rapid cash offer with a fast close. And we make offers on any property in any condition, even if your home is in need of serious repairs and updates. Is it storm damaged or fire damaged, or a probate home filled with dust-covered junk? We’ll buy it. No cleaning necessary; we’ll buy any home, in any condition, even if it’s full of stuff. Leave what you don’t want and we’ll take care of it. Our offers are guaranteed, so you never have to worry about a buyer backing out. Whatever the reason for selling your home, we’ll work with you. The entire process is fast and as an A+ accredited company with the BBB you’ll know you’re working with a local buyer you can trust. Do you have the budget to make necessary repairs and updates and the time to wait for them to be completed before you list your home? Do you have the freedom and patience to wait months (or more) to get an offer for a qualified buyer? Do you have the free time to manage all the communication with agents, buyers, showings, contractors, and more in order to list and sell a home? Are you willing to carry the mortgage, insurance, and other related expenses while you wait for your home to sell? What will you do if your agent isn’t able to help you sell your home? Would you like to get a fair cash offer on your home, and have it sold in under 30 days? The process is simple; just fill out the form on this page to get started or call us now at (405) 673-4901. If you have property to sell in Warr Acres and need an offer fast then call us today at (405) 673-4901 OR fill out the form below and we’ll get back to you within 24 hours.